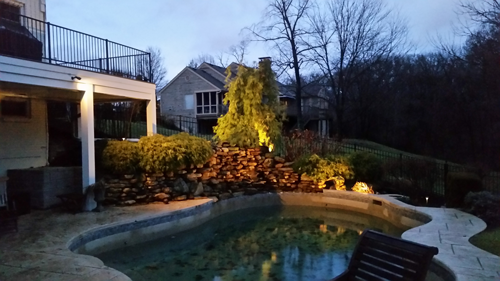 There are more options than ever to bring a WOW factor to your outdoor spaces with LED landscape lighting. Consider these landscape lighting techniques for your property, and enjoy the pictures of some of TriState Water Works’ favorite projects. Many families are expanding their living areas to the outdoors. Simple patios are being transformed into outdoor kitchens, living rooms and entertaining areas. Many homeowners are investing in elaborate grilling stations and pizza ovens, while others are creating inviting seating areas under pergolas or around fire pits. 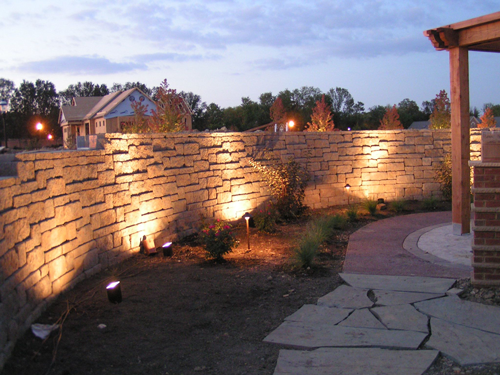 To keep using your outdoor living spaces after sunset, you need to light it up with LED landscape lighting! 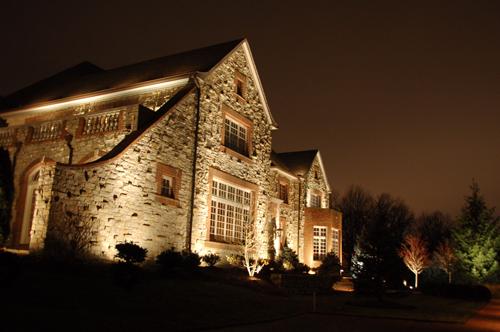 Landscape lighting brings a new dimension to the architectural features of your home. Instead of being hidden in the night, showcase your architecture with dramatic lighting. Popular techniques include wall wash and accent lighting. 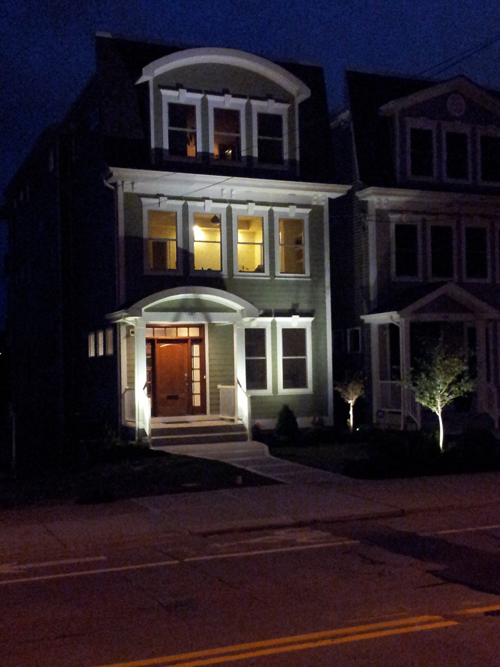 Often, path lights are the first thing a homeowner thinks about when considering LED landscape lighting. But that’s not the only way to illuminate a pathway and make it safe. Downlighting from a tree or structure also provide enough ambient lighting for pathways and break of the monotony that rows of path lights can create. A home’s front door is often a beautiful focal point, not to mention how you welcome guests into your home. Dramatic lighting techniques for your entryway are both stunning and functional. 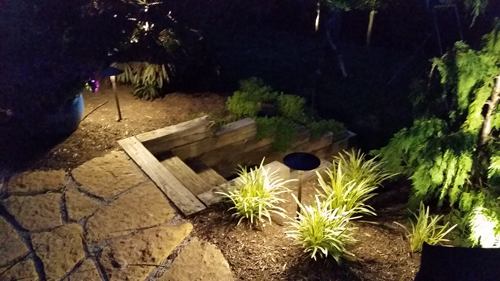 It’s no surprise that LED landscape lighting is perfect for… landscapes! Popular techniques are showing off a favorite plant or statuary in your garden, or creating a brand new effect at night with shadows or uplighting. Beautifying your landscaping at night will enhance your enjoyment of outdoor living spaces by giving you and your guests vistas to enjoy. Let us design a landscape lighting portrait for you! Give us a call at (513) 813-5725.